Climbers in general are, unlike dynamic ropes, not main users of static ropes. The predominant use of static ropes is industrial use, such as, in a work environment of tall buildings, towers (oil-rigging etc) and for ships and tree-climbing. Within sports, apart from marine sports like sailing, it is heavily used in caving and canyoning. After all, to climb something ground-up, which is arguably what climbing is all about, climbers vitally need dynamic ropes to absorb a shock in potential falls. Even though there is some use for static ropes in climbing as summarised in the text, its use is somewhat limited, though you really want one when you do. For that reason, the knowledge about static ropes by climbers, as well as stocks of them in climbing shops, tends to be limited, whereas a large number and variety of static ropes are available in the market, which can be confusing. Here is my attempt to summarise what is the feature to look for, and what sort of models are available as of 2016 in the market. Cross-loading — this word may give a chill in the spine of climbers. It is a real terror, be it with a karabiner or knot. In the industry they adopt the simple and very straightforward solution for this. Just use super-strong metal links, a.k.a., absolute bombproof steel maillon rapides, wherever in suspect. In climbing, whereas the same approach is indeed recommended in some cases like a group activity of abseiling or bottom-roping, the weight, bulkiness and awkwardness in use of steel maillons put off most, understandably and justifiably in many cases. Instead, climbers usually use either a climbing-rated (aluminium) karabiner or knot to bear with cross-loading. We climbers know it is not ideal, but we are also somehow confident they are strong enough for our purposes. But how confident are you? I have a look at this issue in this post, along with a recently created video. Extremities or fingers sometimes get cold during winter climbing. The inevitable requirement in winter-climbing of dexterity with hands does not go well with your wish to keep them warm. Winter climbers somehow must find a solution, which works for you, keeping a good balance in between. Here I am explaining the principle and theory behind it and the practical tips I have found over the years, which have been either deduced from or backed up with the theory. 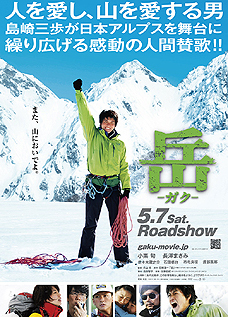 Have functional hands even in cold, and enjoy glorious winter-climbing! Scottish winter climbing is world-famous like Ben Nevis North Face. Then how about (summer) rock climbing? 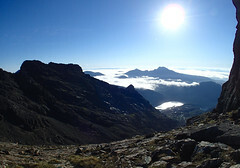 I had very little idea about that before I moved to Scotland, except for a few stories like Old Man of Hoy and Cuillin. Having experienced (some of) them now, I have to say I am mightily impressed. This post is meant to be an introduction for Scottish rock for southeners to get an idea! A sharp end at am I. The terrain is continuously overhanging, and so is energy sapping. I must move quickly, shutting out the fear for the unpredictability. With a little momentum I reach for a rounded little bulge above, expecting it to be decent enough at the back to hold. No, it's not! It is too rounded. 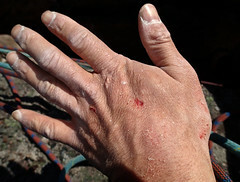 … I investigate what went wrong and what to do as a climber, which may make climbing a little safer as a bonus. Here is the comparison chart of the cams, mainly SLCDs (spring-loaded cam devices), in 2015, from various manufactures. Most of the major cams are listed here, and it may well be the best visual chart of this kind. ここに二つの風船があります。 それぞれを異なる大きさに膨らませます — 小さい方と大きい方とに。 さて、この二つの風船の口をつなげると、何が起こるでしょうか? 考えてみて下さい!